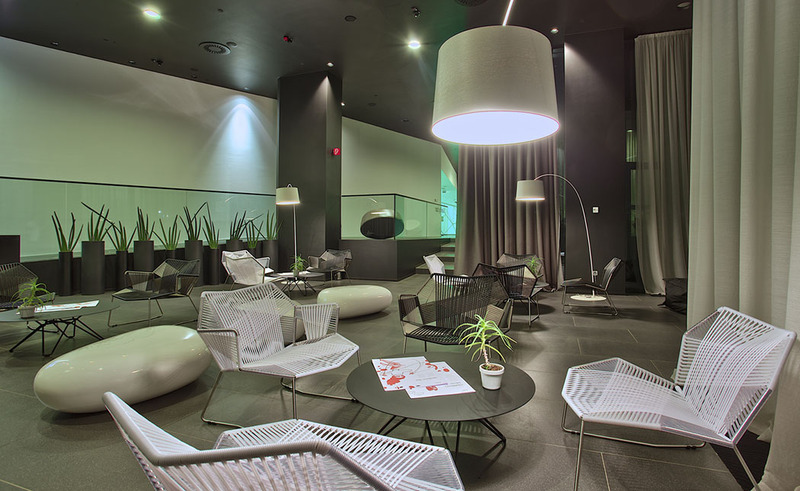 Hotel Lone is a stylish design hotel that brings a unique modernity to this coastal Croatia destination. 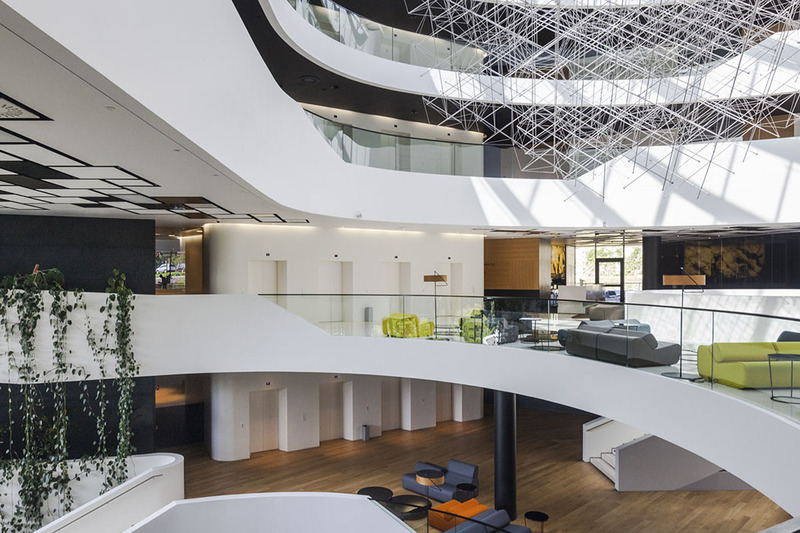 Designed by renowned Croatian architecture firm 3LHD, the Hotel Lone is Istria’s first five-star design hotel. 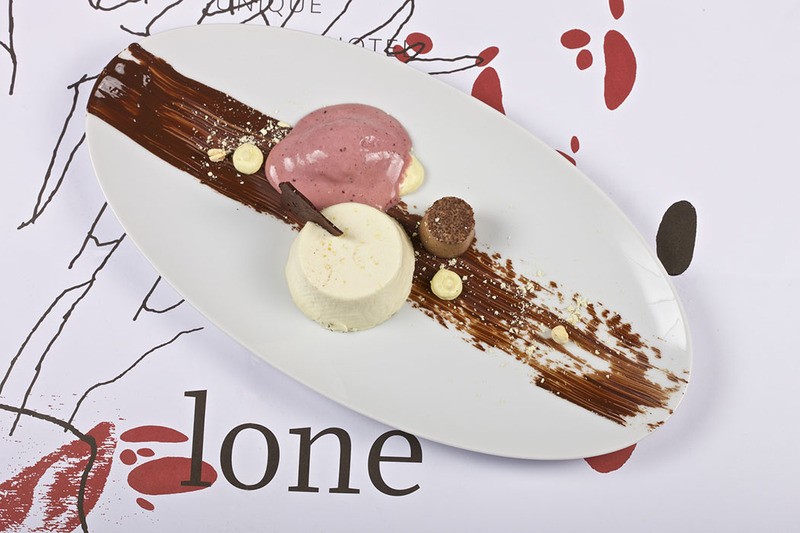 The nearest airports are Pula in Croatia (just 40 minutes away) and Trieste in Italy slightly to the North, and if you want to twin centre, Hotel Lone is just 3 hours drive from Venice. Known as the ‘Blue Pearl of the Adriatic’, Rovinj is a picturesque higgledy-piggledy historic fishing town. The old town was part of the Venetian empire for over 500 years, which gives the place an Italian feel with pretty cobbled lanes, terracotta tiled roofs and quaint painted houses. Hotel Lone is a 20 minute walk from Rovunj and is nestled amidst fragrant pine forests which make up a 54 acre park (ideal for walking and cycling). Edging the park and next to the hotel is a calm secluded bay and the hotel itself is located in large landscaped gardens with large pools and an outdoor theatre. The hotel owns part of the beach area which just is a few metres from the pools. 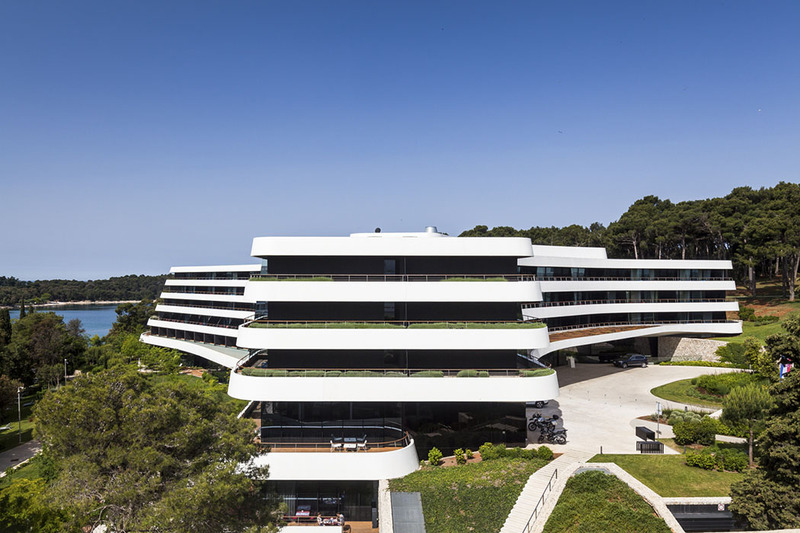 Built to resemble a luxurious ocean liner floating on the hillside, Maistra Inc’s 248-bedroom hotel is a Y-shaped minimalist delight wrapped in an ancient forest on the Adriatic Sea. Thanks to the unconventional shape of the hotel, each of the bedrooms affords an invigorating sea or park view. 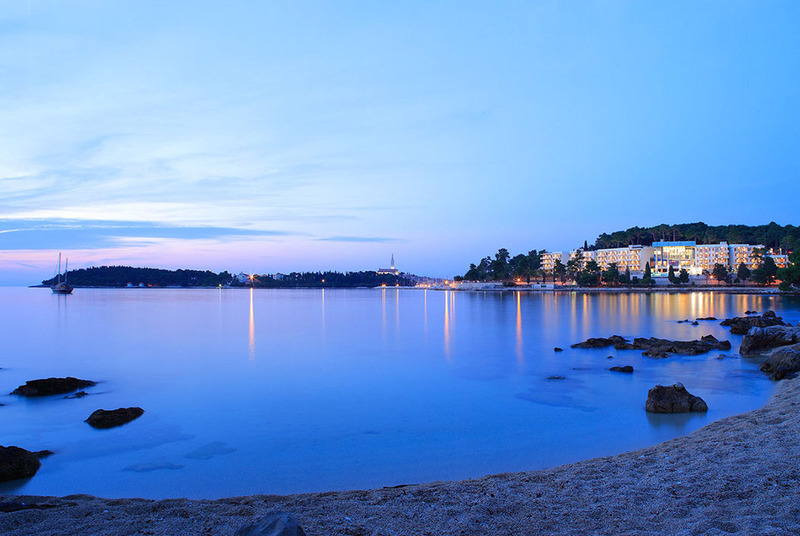 The 248-bedrooms offer spectacular views of the Adriatic Sea and ancient woodlands. 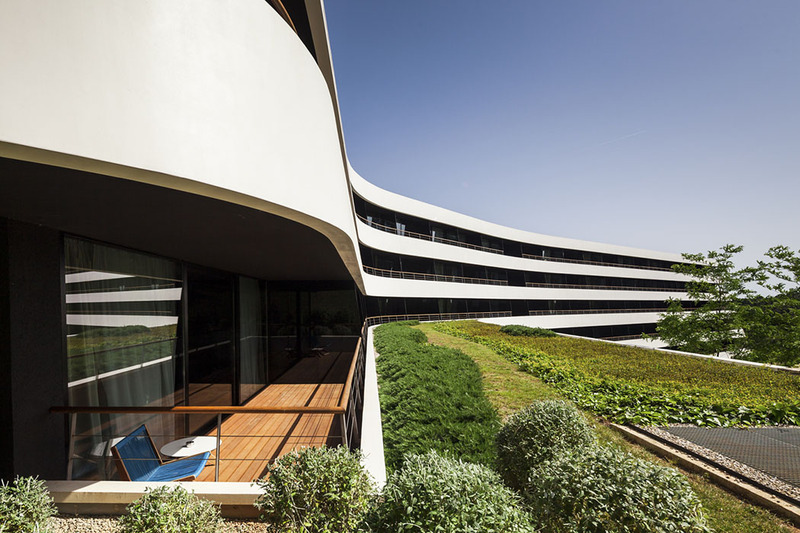 Although the building’s Y-shaped, minimalist, black & white façade might not make it apparent at first glance, the area’s unique natural landscape has influenced the hotel’s entire design concept. In the rooms and suites, large mirrors cling to the walls at seemingly random intervals, letting reflections of the external environment, including forest greenery and ambient light, seep in through sweeping glass panes. Bathrooms with separate shower are spacious and well equipped and amenities include treats like the peppermint shampoo. Rooms such as Jazz and the Deluxe Lone Suite also feature Jacuzzis on the terrace for the ultimate views while relaxing. The pebble beach (take beach shoes!) is clean, with shallow waters and is very pretty. There is lots of space on the stone terraces along the promenade, which is worth a special mention as this is a dreamy place for a stroll after dinner. 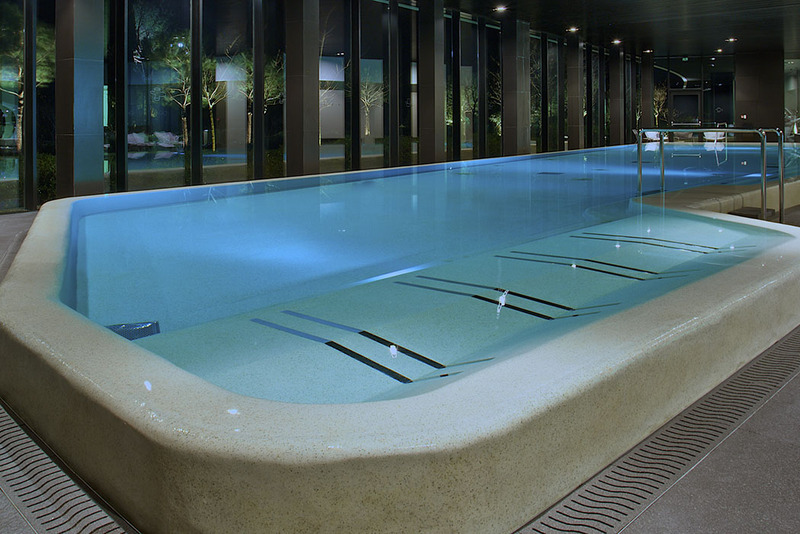 There are also two large outdoor pools and a peaceful indoor pool. Wellness is of high importance at Hotel Lone, and the wellness center and spa is a stress-free oasis of over 18,000 square feet. Detox in a sauna, unwind in the Relax Zone, treat yourself to a facial or massage, and enjoy a selection of refreshing drinks at the Vitality Bar. There is a lovely hotel bar-restaurant (pictured above) with views over the beach and to the outlying islands offering comfy trendy seating. 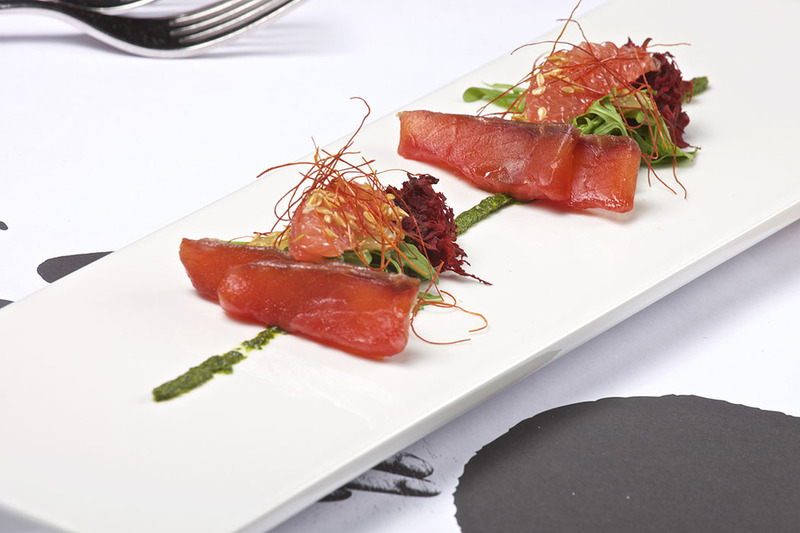 There are also three restaurants offering mouth-watering Mediterranean food options. Restaurant L in particular is very romantic. It is warmest in Rovinj, Croatia from May to September and I can vouch for the weather at the end of May being warm enough to sunbathe and swim outdoors – we were up the road in Venice earlier in the year in May and it was glorious! 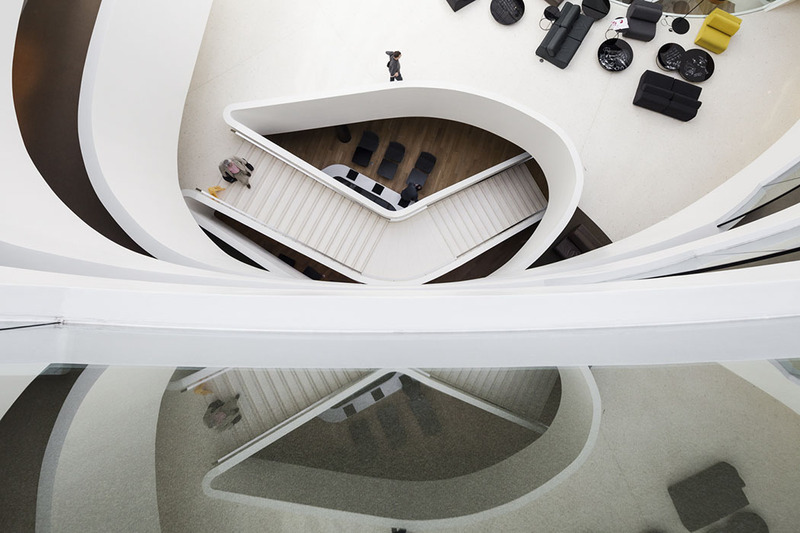 Look out for the cultural events running throughout the summer ranging from jazz, opera, food (specifically truffles) festivals to music events which make this destination even more appealing. 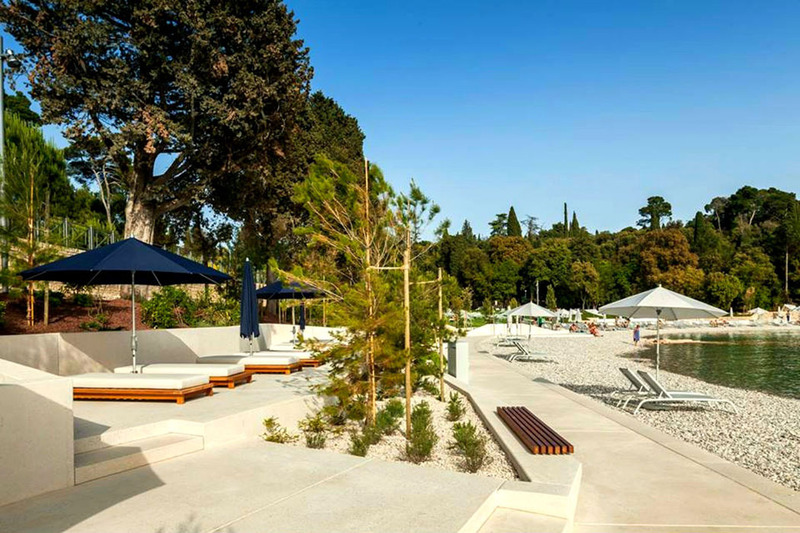 The best way to enjoy this relaxing hotel is to laze by the beach and pools and then to stroll through Zlantni forest to the pretty-as-a-picture Rovinj old town before returning to enjoy a cocktail in the waterside bar.